Spring is sooooo exciting isn't it? Actually that isn't fair to all those other lovely seasons. But after winter where there is much much less in bloom spring explodes with delights on every corner. What has made it even better I guess is that we haven't had any rain to knock the petals off the plants. Of course in Sydney at the moment we are in great need (again) on the up side at least the days are fabulous. I am taking you to a clients garden today as she has quite a few pretties the first is Aleurites fordii (or Tung-Oil tree). It originates from China and just loves a long humid summer. with a white flower with red center a bit like a hibiscus although it is about 3cm in diameter. It is about 8m tall, deciduous tree with broad heart shaped leaves. It is growing up above a couple of camellias so it's growth habit is a little scrappy. Oil used to be collected from it's seed in days gone by but not so much now. Wisteria is growing around the tennis shed and is looking pretty nice. I think it is Wisteria sinensis or Chinese wisteria . I guess at least with the Tung-Oil tree nearby they both come from the same origin. When I worked in the UK I worked as a florist and one of my favourite cut flowers was the Guelder Rose also known as Viburnum opulus. Almost all the V. opulus grown in Sydney are sterile as far as I understand (it certainly doesn't get as cold as it does in Siberia to Algeria) so no berries develop for an autumn show. However this week I passed this magnificent example and had to pull over to get a few shots so you to could smile with me. Sigh.... What pretties have you seen this week where you are? Last note they are quite fantastic cut flowers and will last in the vase for a long time. So here we are again on Garden bloggers bloom day, and it is spring in my Sydney garden. There is quite a lot of pretties in flower at the moment. It is quite something how the colours of flowers change throughout the year. There are a lot of blues, pinks and pastel colours around. I guess that depends on what you put into the garden of course. My lovely second cousin Alison kindly gave me this clump of Dendrobium speciosum (Sydney rock orchid) from her fathers garden. Lucky me. Have you ever been to Sydney and caught the ferry across to Manly? You pass the Opera House on your right and the on the left is a fabulous sandstone building with an expanse of lawn out the front. When Mr R first arrived in Sydney his first question was 'Who lives in that house'? I of course got it wrong and said it is the house the Prime Minister uses when he/she is in town. It is actually used by the Governor-General (who is appointed by the Queen on the advise of the Prime Minister to represent Her Majesty in the Commonwealth of Australia). She has the power to dismiss the PM if he/she has lost confidence (such as poor ol Gough Whitlam found out the hard way). But this is about the house and grounds rather than politics. I couldn't get photos inside I did get some of the garden and views out. I have to confess I was hoping to see a weed or two in the garden just to make me not feel so bad I wasn't out there in my garden on such a fine day. I like the fact that in the front of the house (which is really the rear) they have used mostly natives. While Mr R and friends joked that the huge Morton Bay Fig should go so they have a better view, I think it does a perfect job frame the vista. Then you walk a little further and you get to Kirrabilli House which is where the Prime Minister stays while they are in Sydney. It is a small three bedroom place (and when I say small, it is in relation to Admiralty House). The view is not quite as stunning but the lawn sweeps down encouraging quite a number of children to partake in a good rolling down the slope. And with a slight bit of surprise we came across the vegetable patch. But don't get yourselves too excited here as I can say there is much much more in my vegetable garden and I have been empting it out so it can have a refit. Yeap a few chillis, broccoli, chervil and a curry plant that might not be used a great deal . I did say... Do you ever use Curry plant? I know it smells of curry but I am not sure it should be given space in a produce garden. Anyway there were a few more pretties about the place. And looking at the plant choices I expect it gets quite hot in this garden. What do you think? A great day and so happy to have finally had a visit to such an iconic house of Sydney at last. 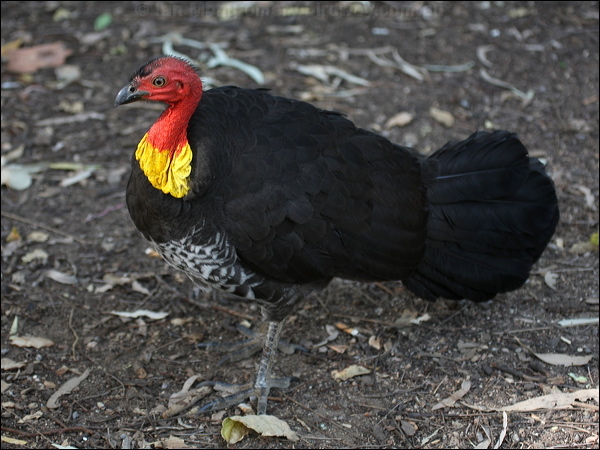 It would seem in the world of bush turkey the male is responsible for looking after the eggs and young turkeys. So they spend quite some effort scraping general bush debris into an enormous big pile that they turn (a bit like we do with the compost heap) and get nice and hot. Then they go off to find 'Bernadette' so she can decide if the said pile is worthy of her eggs and potentially mating with 'Bob'. If 'Bob' is successful he helps create some eggs that he carefully places in his hot pile to keep them warm. 'Bernadette' who has finished her work gets to go back to eating and cruising the bush. Poor ol 'Bob' has to keep the pile turning so that the micro-organisms that do a fabulous job breaking down our composts get all worked up and carry on keeping those eggs warm until they are hatched. So not only has he dug soil from the other 2 beds next to this one to start his pile he dug up all of these gorgeous carrots! It took me a while as I had tomatoes to protect and a bean frame to create but I am ever hopeful I have 'Bob' proofed the vegie patches. I am crossing fingers and toes all those new seeds I have planted are safe and that 'Bernadette' finds love with 'Bruce' who has a better pile down the road.